Keith Sanders is a stalwart of the global pump industry. Having completed his training and commenced his career in the UK, he made his way to Australia after a distinguished stint in Southeast Asia, developing the Asian markets for a number of pump companies. 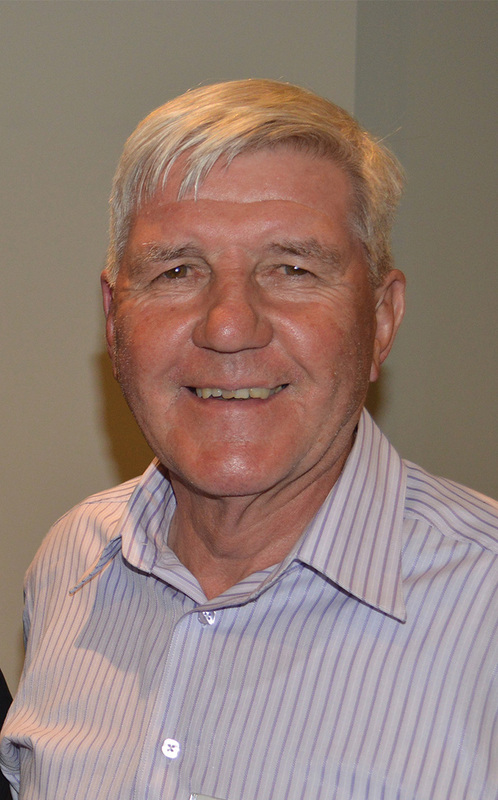 Since arriving Down Under in the 1980s Keith has had a significant impact on our pump industry, taking on a number of senior management roles and being actively involved in the PIA for a number of years. When did you first get into the pump industry? My first introduction to pumps and hydraulics was during my university years. Queen Mary College at London University opened a new Engineering Laboratory in 1960, which included a testing facility for pumps, turbines and IC engines. 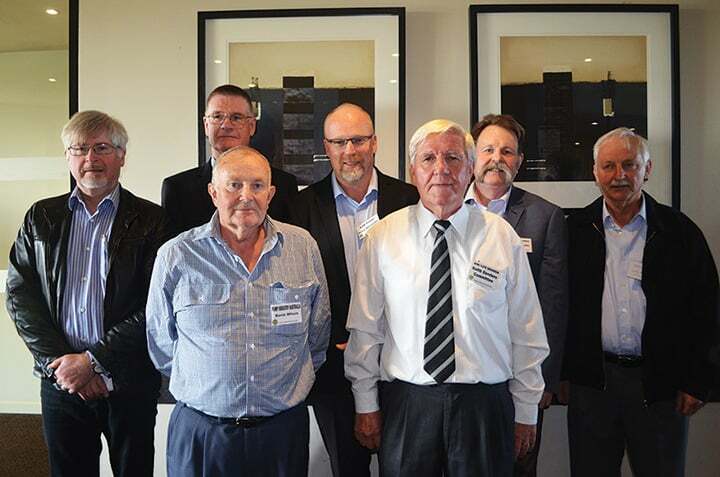 Keith Sanders (far left) with fellow PIA Life Members. I conducted my very first pump test at the age of 20. It must have been infectious. However, it was not until 1972 that I had any practical involvement with pumps, when I underwent a one week training course at Mather & Platt in Park Works, Manchester. At that stage, M&P were one of the leading designers of Engineered Pumps, who specialised in high pressure and high temperature applications. They developed multistage pumps in special stainless steel material (Zeron 25) for boiler feed and seawater injection pumps, which were built and tested in Park Works. This was a great introduction to the industry and I have been involved in it ever since in one way or another. What do you like about the pump industry? They say variety is the spice of life and this is something that one can certainly say about the pump industry. There is an incredible variety of products, technical specifications, operating environments and client preferences that present a continuing challenge for pump engineers. While the basic technology has not changed significantly over the years, there have been many areas where modern design tools and new materials have brought about major improvements in pump efficiency and reliability. I find the technical challenges fascinating and continue to be stimulated by these advances as they appear in the market. What other companies have you worked for during your time in pumps? I have been fortunate to work for some of Australia’s leading pump manufacturers. After working for the Kelly & Lewis Distributor (Paterson Simons) in Singapore and Indonesia from 1972 to 1977, I joined K&L as Regional Manager Southeast Asia, operating from Singapore. This was a dynamic time, because Asian countries were growing very fast and the oil and gas exploration in the region meant that there were many large engineering and infrastructure projects going ahead. K&L was very successful in this period because the company was export orientated, so I had great support from colleagues in Springvale under the leadership of Ken Willcock. In 1981, I came to Melbourne with my family and began my journey in the Australian pump industry as General Sales Manager at K&L. The influence of Wormald in the company resulted in some changes in the way K&L operated, so in 1983, I moved to Thompsons Byron Jackson. Unfortunately, this was not such a good fit for my strengths and at the end of 1985, I moved to Ajax Davey. 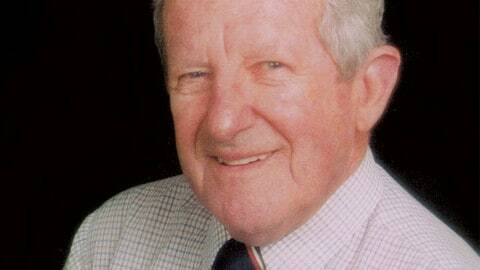 At that time Graeme Denton asked me to reinvigorate the Ajax Pumps engineered pump activity and separate it from the Davey style of business, which was run by Bob Robinson. This turned out to be a very successful strategy and resulted in McPherson’s being able to find a buyer for the Ajax business, whereupon it became part of the Southern Cross Group in 1986. Rob Campbell became the General Manager at that time and Ajax traded very profitably because we adopted a strategic approach to achieve the business objectives and increase sales in its traditional market sectors. Rob deserves great credit for identifying the value in the Ajax brand and we worked extremely well together. The sales team got the orders and Rob’s operational team ensured they were executed on time and in line with estimates. In 1991, Southern Cross sold 50 per cent of the Ajax business to KSB to form KSB Ajax, and I was appointed General Manager, reporting to a board which consisted of both Southern Cross and KSB Directors. The company moved to completely refurbished premises on the old ABB site in Tottenham early in 1993, which was opened by Jeff Kennett. Not popular with the Unions, but the plant set-up by Jimmy Hamill was utilising JIT principles wherever possible and manufacturing costs were reduced as a consequence. 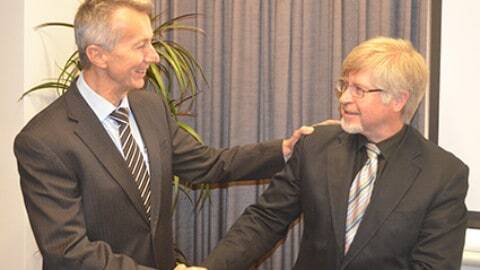 This was a good time for KSB Ajax and everyone was motivated by the success. Some months later, KSB purchased the remaining 50 per cent and a new chapter in the business began, with greater emphasis on introducing the KSB product range into the Australian market. At the end of 1993, I moved to Hong Kong to manage a KSB joint venture in the region as MD of KSB Jebsen, but the real task was to assist KSB form a JV in China. After 18 months of research into large state-owned enterprises, many factory visits and lengthy contract negotiations, KSB finally concluded a JV agreement with Shanghai Pump Works in September 1994. Shortly after, I began a three year engagement as MD of KSB Shanghai Pumps in Min Hang Industrial area. Again, it was an exciting time with all that China had to offer, both good and bad. However, the cultural differences between China and the west in 1995 were much greater than they are today, and the going got tough. When it appeared that KSB Shanghai would need to reduce its workforce significantly if it was to become profitable in the years ahead, relations with the Chinese shareholder became strained. By the end of 1996, I needed a break and returned to Australia to see what life had to offer. At that time I was lucky enough to rejoin Southern Cross as a consultant. First with Ken Porter and later with Warren Bee, we set about restructuring the pump division which was travelling poorly. It took nearly three years to turn the business around, but this was achieved by the end of 1999. The strategic approach again proved successful and the business prospered. Sales growth and PBIT were attractive but capital expenditure controls were tight. As a result, the pump division business was sold to Tyco, who installed new management early in 2000. My consultancy ended in June 2000, as the Tyco strategy focused on a new direction. Mergers and acquisitions – been there done that. That is when I went out on my own, and I have been running Australian Industrial Marketing ever since. That has been both interesting and challenging, but worth the effort if only from a personal satisfaction perspective. No more KPIs for me! Know your market, know your products and work to build trust with your customer base. Nobody buys a pump as a status symbol, so it better be offering the right pump for the job. Keith Sanders (front right) and the current PIA committee. How has the industry changed during your time in it? When I first started in the industry, most pump manufacturers were independent businesses who made what they sold. However from the mid 1970s, mergers and acquisitions became the name of the game, management buyouts became commonplace on a global scale and the industry began to rationalise, not always for the better. Reducing tariffs and the cost of product development during the 1980s and 1990s saw a dramatic change in the way Australian pump businesses operated. Global products soon dominated the high end market, while standard products, predominantly sourced from low cost countries, became almost commodities and could even be found on the shelves at Bunnings. It became tough out there. Did you have a mentor at any time in the industry? Probably the single largest influence in encouraging me to join the industry was Ken Willcock at Kelly & Lewis, as he had been in Singapore a few years before I joined the company and he was able to guide me in the ways of Southeast Asian business. 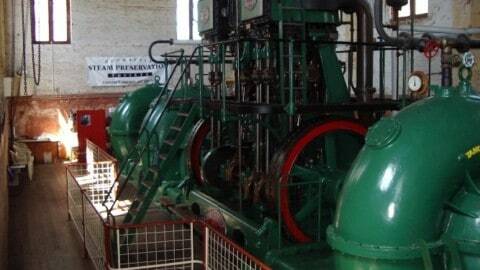 However, since I started my career as a Mechanical Engineer, the technical side of pumps was always of interest to me. When I came to Australia, Geoff Smith at K&L was both a friend and a mentor, who helped me understand about the product strengths of the company and how to get results by putting up a good technical submission. Geoff was extremely thorough in that respect and became the guru for GIW product in Australia. On the management side, Peter Callaghan, a Director of Southern Cross in the 1990s, provided me with some key insights into evaluating a business and then restructuring it to get the best out of it. These techniques are not rocket science but can be extremely effective if correctly interpreted and applied. He also encouraged me to study for my MBA at Deakin, which proved to be invaluable as my career progressed. Tell me about some of the other personalities in the industry that you have worked with? I have been lucky to work with some of the very interesting and imaginative people of the pump industry, both in Australia and abroad. I have mentioned several of them already, but I have to acknowledge some other key players who have helped me along the way. Bob Moore, Kevin Wilson, Geoff Daniels, John Link, Ken Kugler, Bala Thuraisingam, Les Boelckey, Ron Astall, Andrew Black, David Hobson are all people known to the PIA fraternity, but people like Martin Thomas (M&P, Sulzer UK ), Himadri Sen (M&P India), Kilian von der Tann (KSB), Ronny Yap (Asiatic Engineering) and Allan Mak (Prominent) have all played a part in my business development and I am grateful to them all. What are the most significant developments you have witnessed in the industry? Are you still involved in the industry today? Yes. My main business activity is in pump technology training. However, I still take on some special consultancy assignments on a case-by-case basis. I also fulfil the role of Executive Officer – Marketing and Statistics for Pump Industry Australia. I have been a Councillor for PIA for a number of years and was President for two years from 2009-2011. 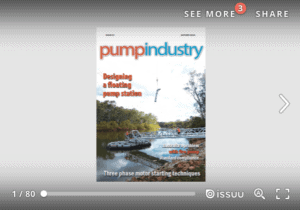 What are the greatest challenges facing the pump industry? What does the future hold for pumps? Pump production in Australia is in deep decline. Where will the next generation of pump engineers come from? Product development is rapidly moving offshore and with this will go a significant knowledge base. What will fill the gap? The market in Australia is over-serviced and margins are being squeezed. How to develop a growth strategy and support the people in the industry with worthwhile careers? There are many challenges at the moment and only time will tell what the future holds. There is never any spare time for me. My family obligations are very important to me and two grandchildren seem to put quite a heavy load on Lynne and myself these days. However, I like to keep fit and engage in cycling, as well as gym and swimming at RACV when I can. I have participated in the annual MS bike ride in Melbourne (50 km) for last five years, I umpire cricket for MPCA in the summer and play in the Victorian Over 60’s Cricket Association when time permits.